Greek or even Balkan context. Instead, the entire project is oriented toward placing the study of Venizelos' leadership in the broad setting of twentieth-century politics and diplomacy. 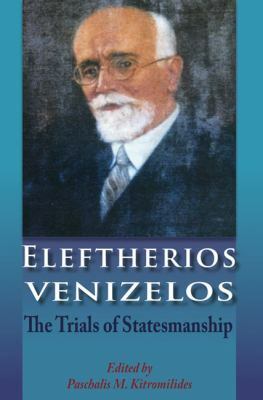 The complex and often dramatic trajectory of Venizelos' career from Cretan rebel to an admired European statesman is charted in a sequence of chapters that survey his meteoric rise and great achievements in Greek and European politics in the early decades of the twentieth century, amidst violent passions and tragic conflicts. Five further chapters appraise in depth some critical aspects of his policies, while a final chapter offers some glimpses into a great statesman's personal and intellectual world. The book is based on extensive scholarship but it is eminently readable and should appeal to all those interested in twentieth-century history, politics and biography, offering a vivid sense of the hopes and tragedies of Greek and European history in the age of the Great War and of the interwar crisis. Paschalis M Kitromilides is professor of political science at the University of Athens.